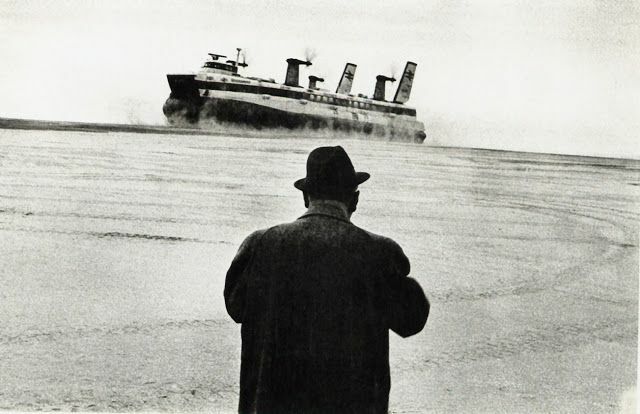 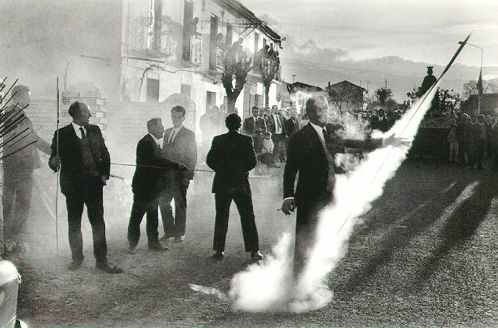 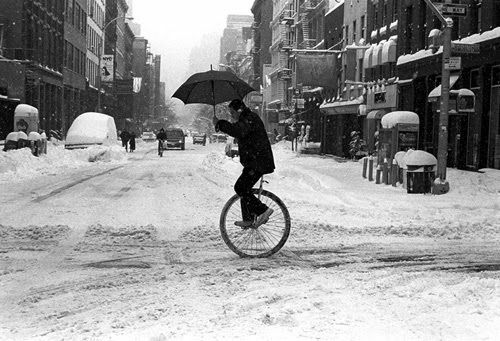 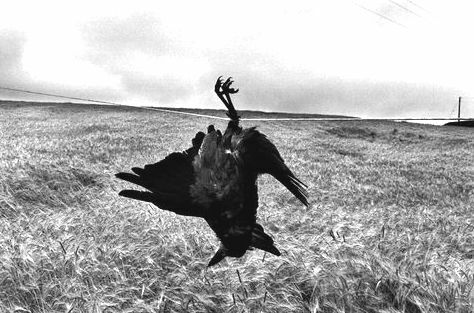 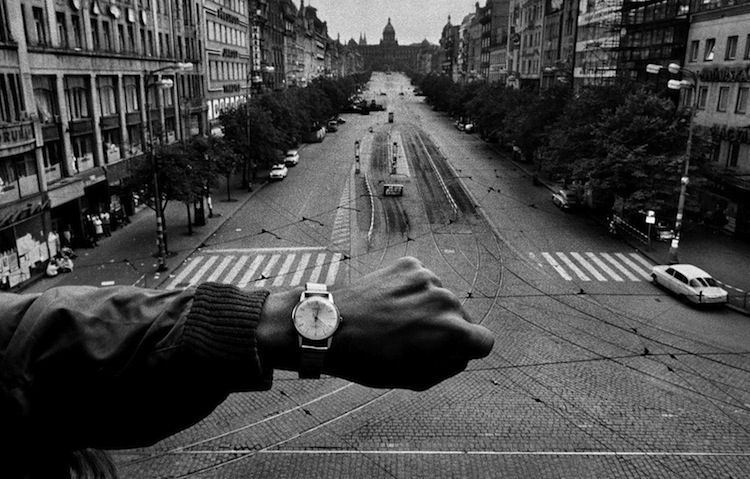 Josef Koudelka (born January 10, 1938) is a Czech photographer. 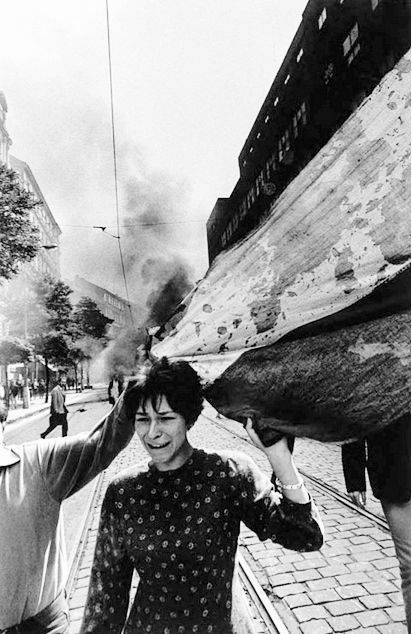 He was trained at the Technical University in Prague and worked as an aeronautical engineer in Prague and Bratislava from 1961-67. 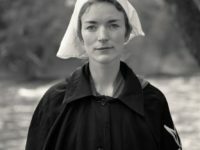 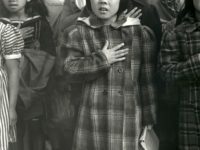 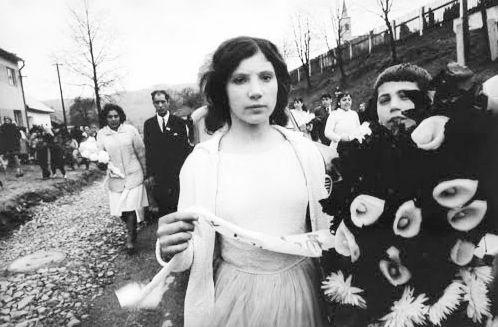 He had been able to obtain an old Rolleiflex and in 1961, while working as a theater photographer in Prague, he also started a detailed study of the gypsies of Slovakia, who were then undergoing further attempts to “assimilate” them within the Czech state. 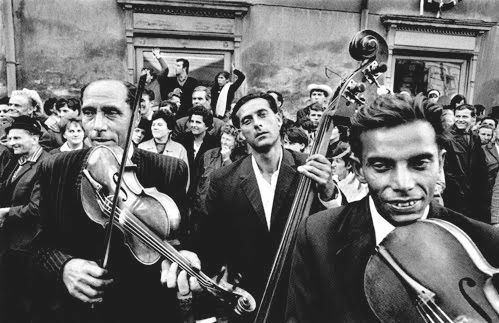 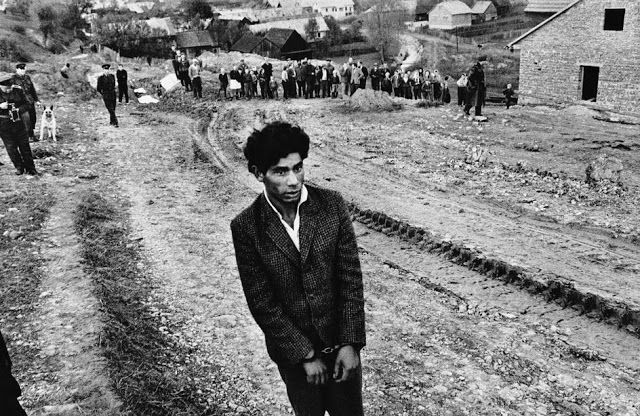 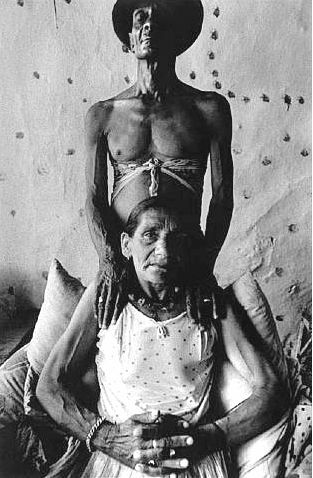 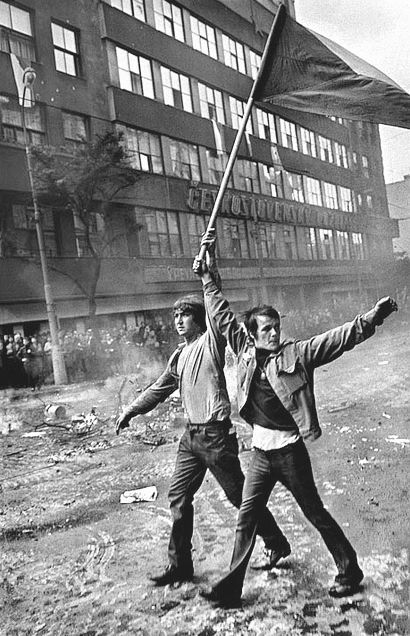 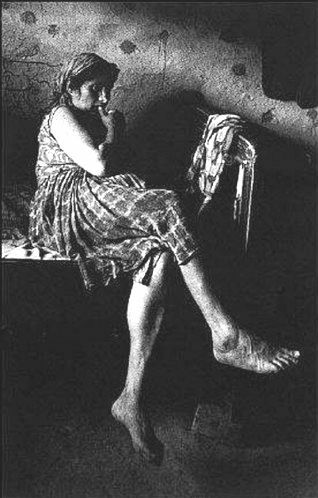 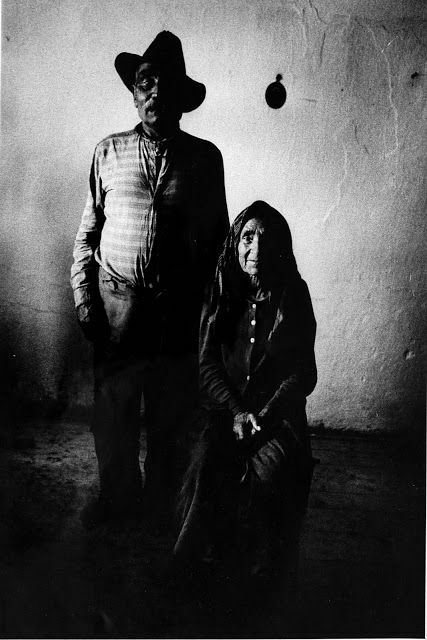 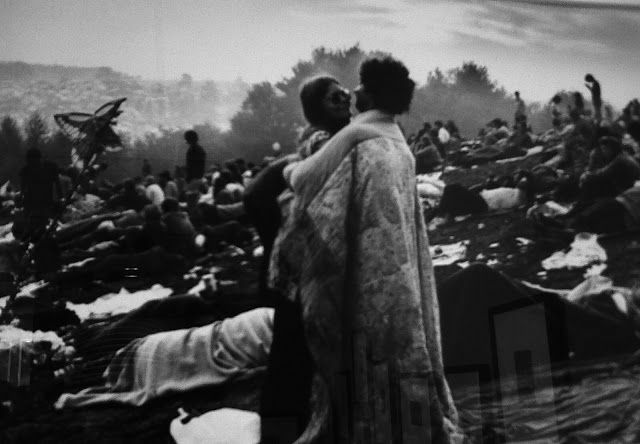 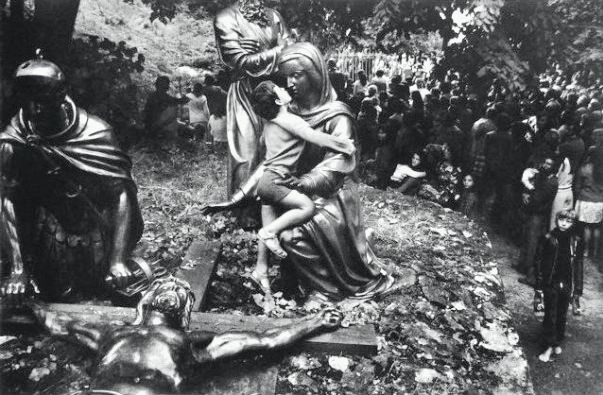 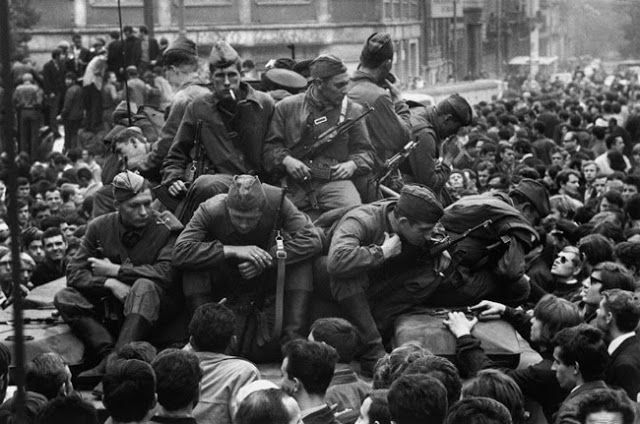 In 1968 Koudelka extended his project to gypsy communities in Rumania and that same year recorded the invasion of Prague by Warsaw Pact armies. 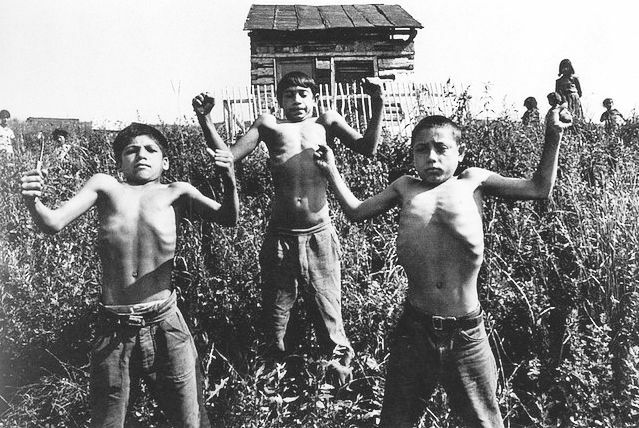 Smuggled out of the country with the help of Czech curator Anna Farova and published with the initials P.P. 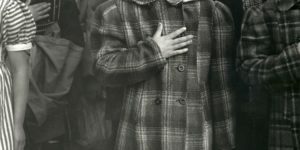 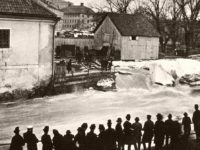 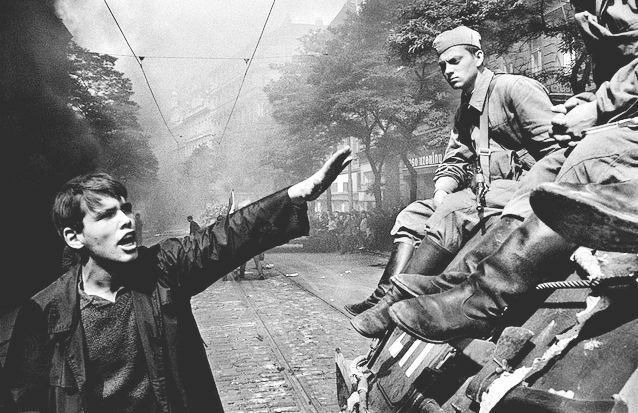 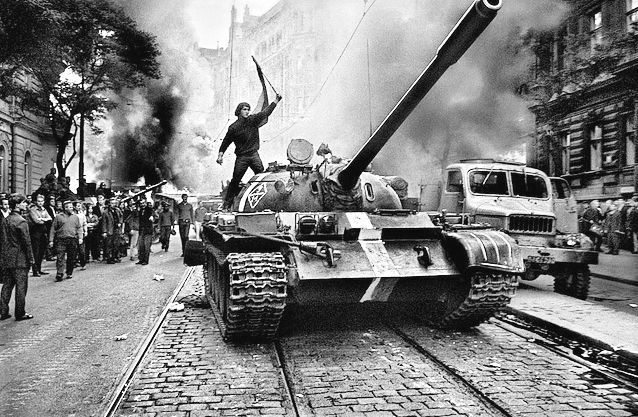 ( Prague photographer) to protect his family, the highly dramatic pictures showing Russian tanks rolling into Prague and the Czech resistance became international symbols and won him the prestigious Robert Capa Gold Medal. 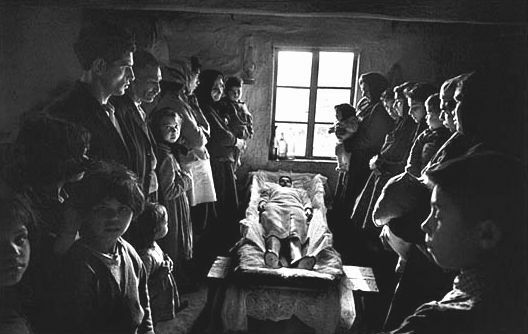 In 1970 Koudelka left Czechoslovakia and, officially stateless, was awarded asylum in England. 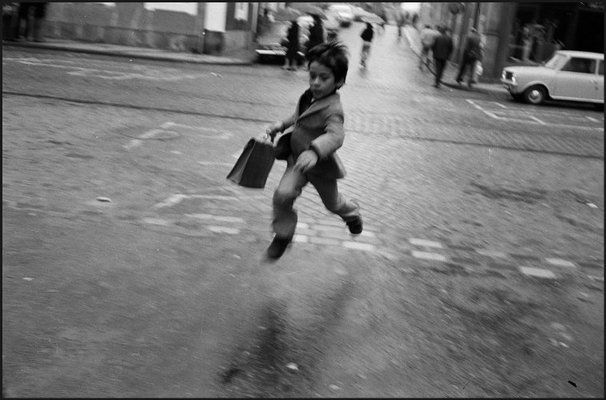 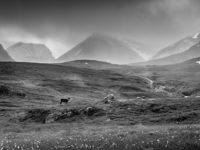 Introduced to Magnum by Elliott Erwitt, he became an associate in 1971 and a member in 1974, but still refused most journalistic assignments: in constant movement, he preferred to wander around Europe in search of pictures of a world that he felt was rapidly disappearing. 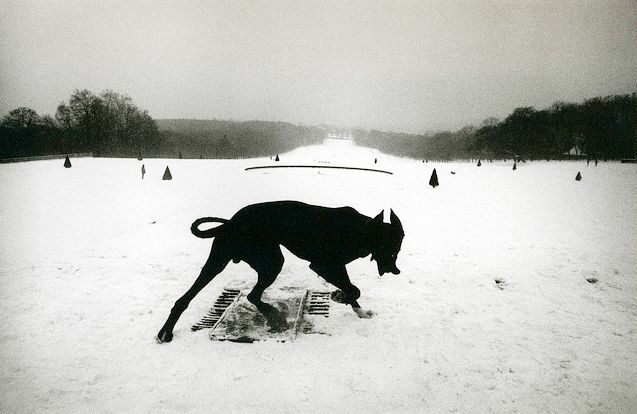 After becoming a French citizen in 1987, Koudelka was able to go back to Czechoslovakia for the first time in 1990 and produced Black Triangle, a study of his native country’s landscape wasted by industrialization and environmental catastrophies. 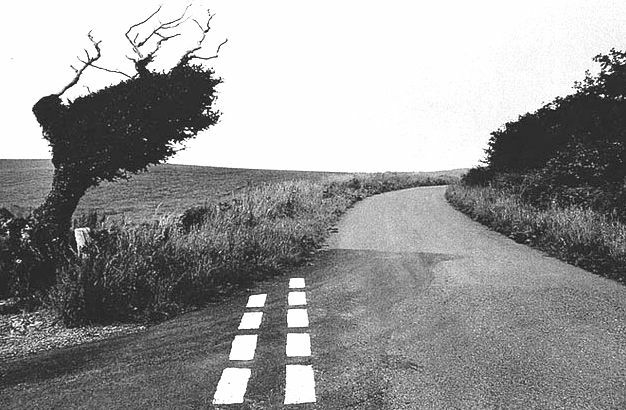 In these fold-out pictures, human presence has all but disappeared and panoramic shots show spaces littered and unkempt stretching out desolately.